Sufyan Harbi '19, Willmar High School introduces the Best Solo Performance for the 2019 Minnesota High School Arts & Media Awards. Jacob Bertram '19, Paynesville High School introduces the Best Duo Performance for the 2019 Minnesota High School Arts & Media Awards. 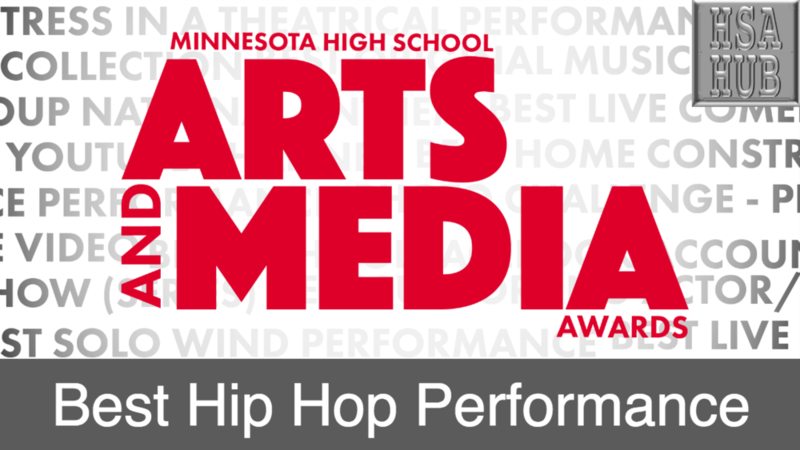 Siraji Yare '19, Willmar High School introduces the Best Group Music Performance for the 2019 Minnesota High School Arts & Media Awards. Layne Vaupel '19, Stewartville High School introduces the Best Solo National Anthem Performance for the 2019 Minnesota High School Arts & Media Awards. Sample Video: Sabrina Epou, a high school student from the Twin Cities in Minnesota performs her spoken word entitled, "It Is Finished"
Sample Video: 10 years ago. Need more videos. Click on the graphic below to submit your Arts Competition entry.